When you turn to an axe to aid your battle against the walking dead, you want to make sure it is a reliable blade. This Tactical Black Tomahawk is a hand-axe that you will not regret reaching for, as it is hardy, reliable, and useful. Similar in stature to the TRTs (tactical rescue tomahawks), this straight-forward hand-axe is made with a plethora of uses in mind. The head is made from 440 blackened stainless steel and features a flat bit that serves well in hacking and chopping. The back edge of the tomahawk features a potent spike that serves well in piercing through materials, while also serving as a great help for prying things open or dragging things behind you. The black rubberized handle is contoured to provide a good, solid grip, while the conical point at the tip acts as a sharp point and a glass-breaker. Included with the hand-axe is a black nylon sheath that keeps the axe-head safe and secure when it is not in use. 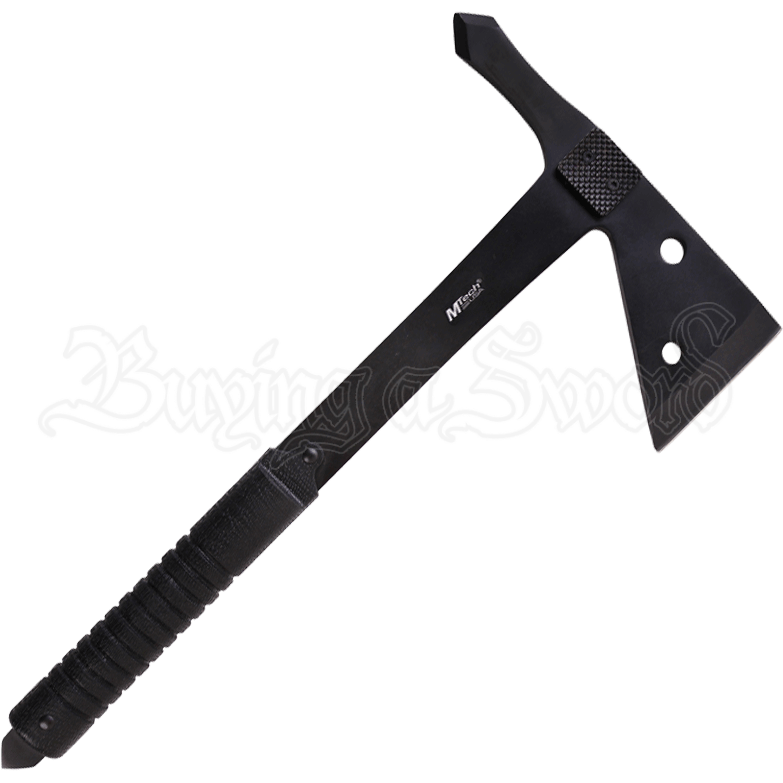 It does not matter if you are building a shelter, breaking into an abandoned building, or hacking off zombie heads, because this Tactical Black Tomahawk will be there, lending you the help you need every step of the way.